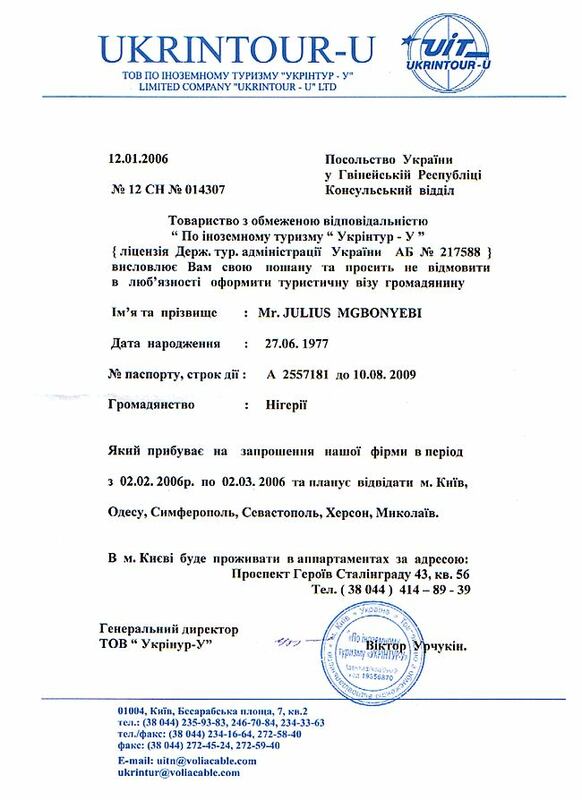 Example of invitation letter and hotel voucher for Ukrainian travel visa. Invitation letter for travel visa. Looking for business invitation letter to get business visa? 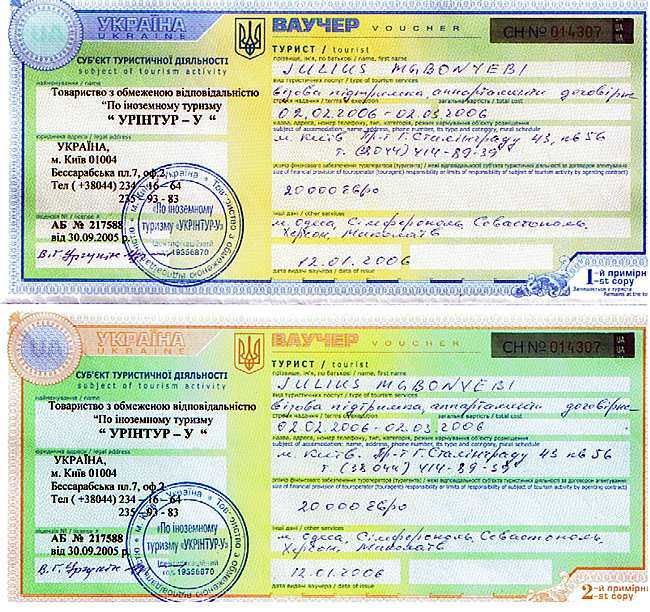 Here is information how to get Invitation letter for Ukrainian business visa. If you need invitation letter for travel visa please send us message. Address: Kiev, Ukraine, 2 Hospitalna str., office 21.